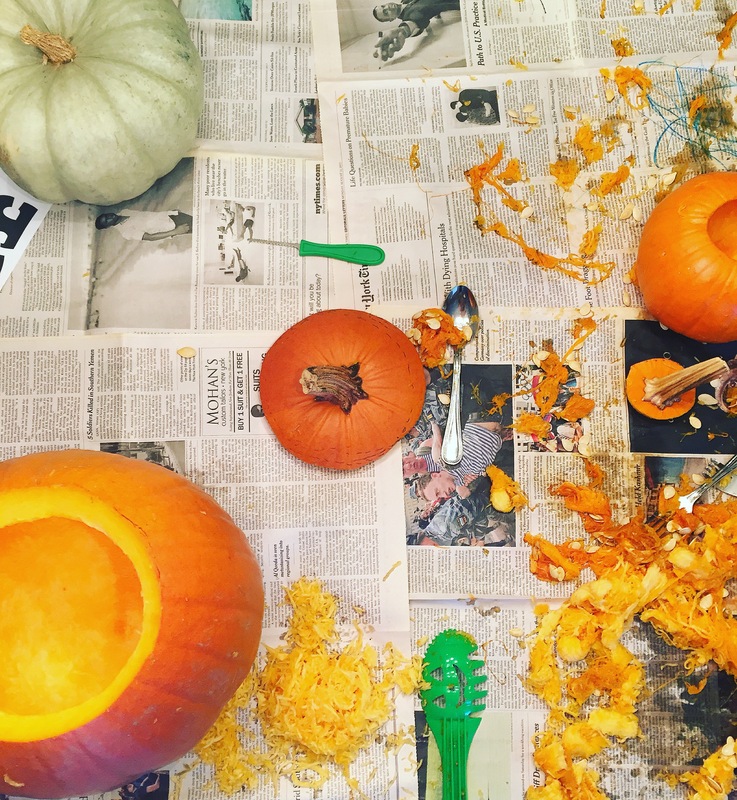 Yesterday was the day of pumpkin carving in my household! It is so fun and brings back many good memories of my childhood. However, Liam was grossed out by the pumpkin! I mean, yes, it is pretty nasty, feels weird and smells but I enjoyed myself. And of course I saved the seeds! 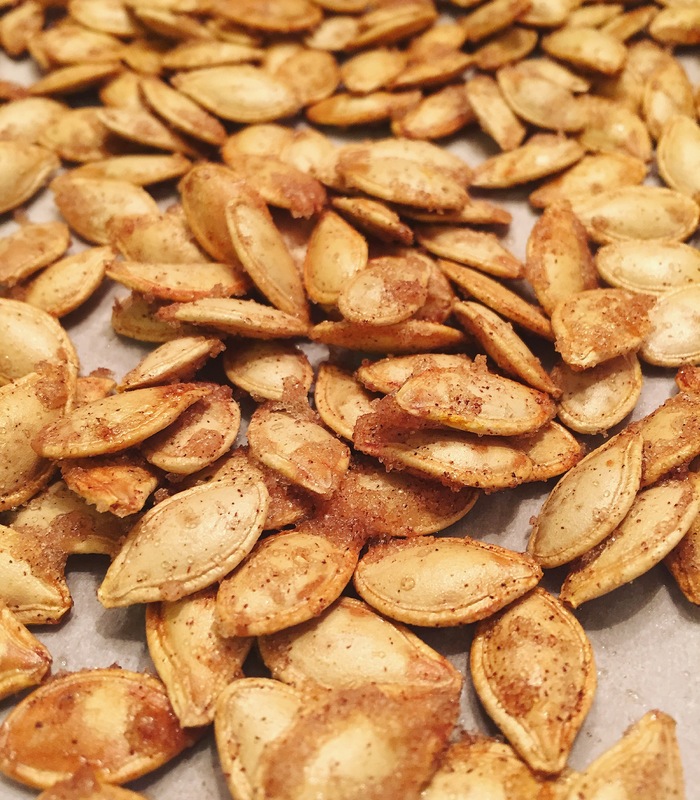 Last year I made drunken pumpkin seeds, but this year I wanted something simple, sweet and salty. So, go wash your pumpkin seeds and let’s roast! Preheat your oven to 300 degrees fahrenheit. 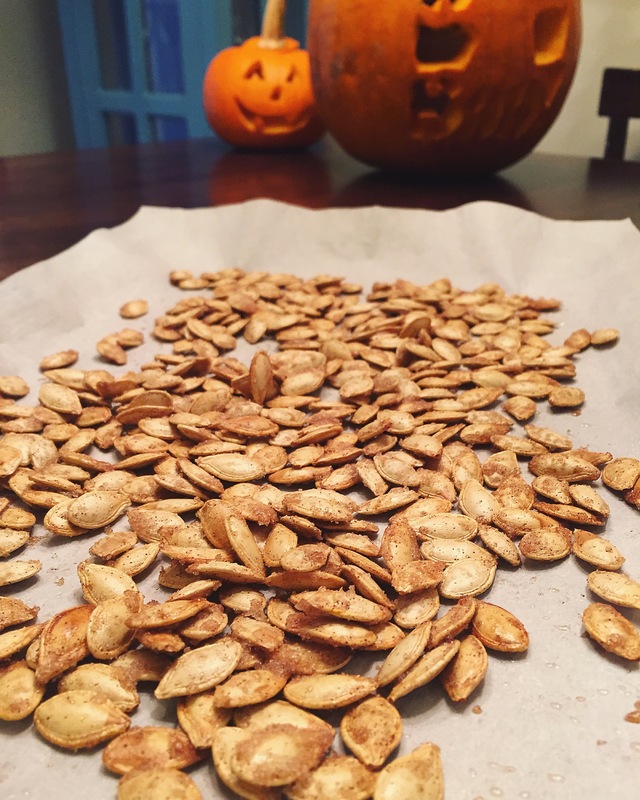 Place the pumpkin seeds in a single layer on a cookie sheet lined with parchment paper and bake for about 30 minutes to dry them out. Once dry, take out seeds and set your oven to 350 degrees fahrenheit. Combine all ingredients in a bowl and mix until all the seeds are coated. Put the seeds back on the parchment paper lined cookie sheet and bake in the oven for about 10 minutes, or until the seeds are lightly golden brown. Enjoy!